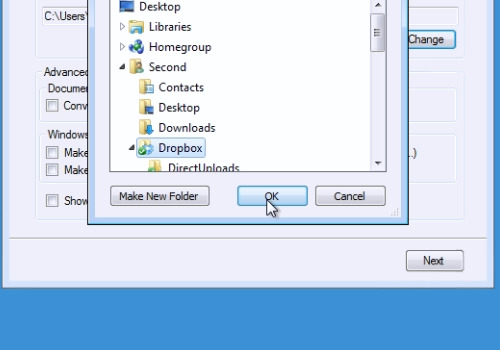 In this video tutorial we will show you how to sync dropbox with google docs. In order to sync dropbox with google docs, open your web browser. Go to “syncdocs.com”. On the following web page, choose “Download”. Save the file on your hard drive. Double-click on the downloaded file. Click “Next” to start the installation process. 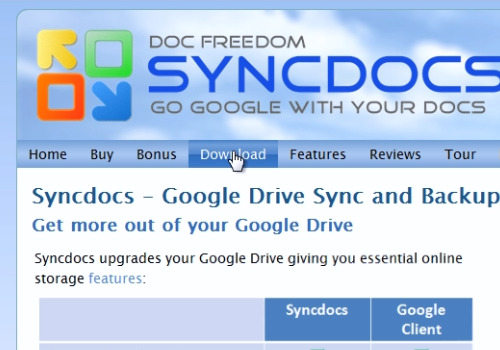 When the installation is finished, you will see the “Syncdocs Setup” window. Type in your Google username and password. Check “I agree to the terms of service” and press “Next”. 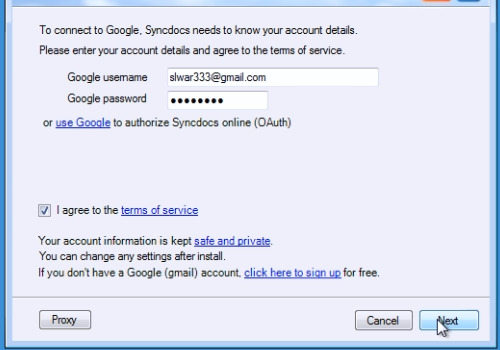 In the following window select the folder you want to sync with Google. Click “Change” and choose “Dropbox” folder. In the following window, press “Ok” to confirm. Press “Next”, then “Finish” to complete the setup. Wait while the “Syncdocs” are syncing for the first time. Open “My google docs” folder and see that all files and folders are checked and synced with Dropbox.